Man, are we glad that Kratos switched to wielding an axe rather than those chain-blade knife thingies. Why? 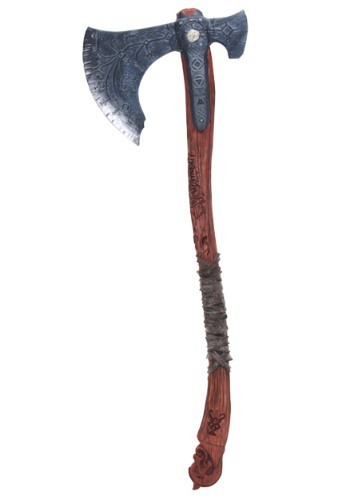 Well, when it comes to costumes, axes are pretty easy. You can carry an axe around quite easily with one hand, it fits nicely in a belt and no one asks you weird questions about your toy weapon. Kratos’ old chainy-bladey doo-dads did not fit nicely into a belt, they would drag around everywhere when you’re not using them and everyone always asks you silly questions about them. 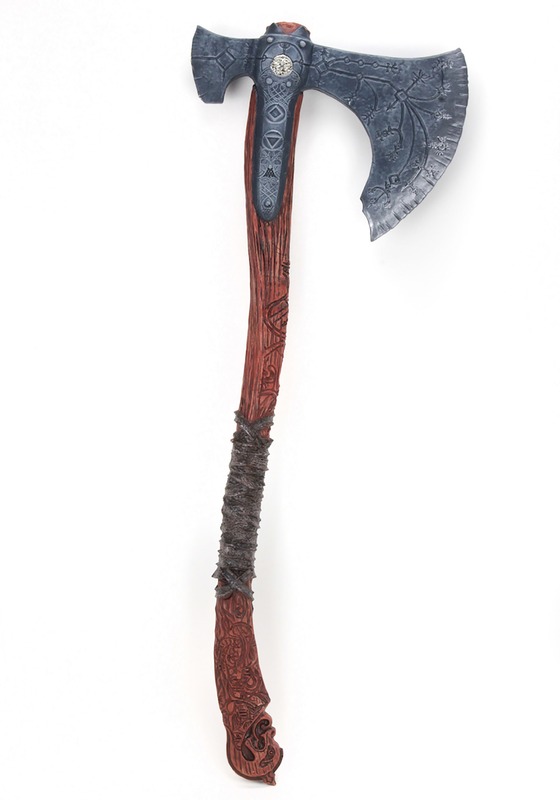 Now, when you cosplay as Kratos from God of War, you get to carry around this Foam Axe Replica. This God of War axe is based on the one wielded by your favorite god-slaying warrior, Kratos. It’s made of foam and it has realistic details to make you look like a fierce fighter. You might even feel like taking on the entire pantheon of Greek gods when you have this accessory hanging on your belt.